Was It Good For You ? | Music Matters | Because it does. Doesn't it ? Category Archives: Was It Good For You ? 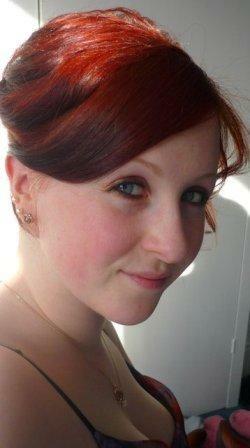 Profiles of, and interviews with, former musical students at Kent. Scholars Spotlight, Was It Good For You ? Good musicians really do make good students! We wish them – and everyone else who graduated! – all the very best for the future. Notes on Music, Was It Good For You ? 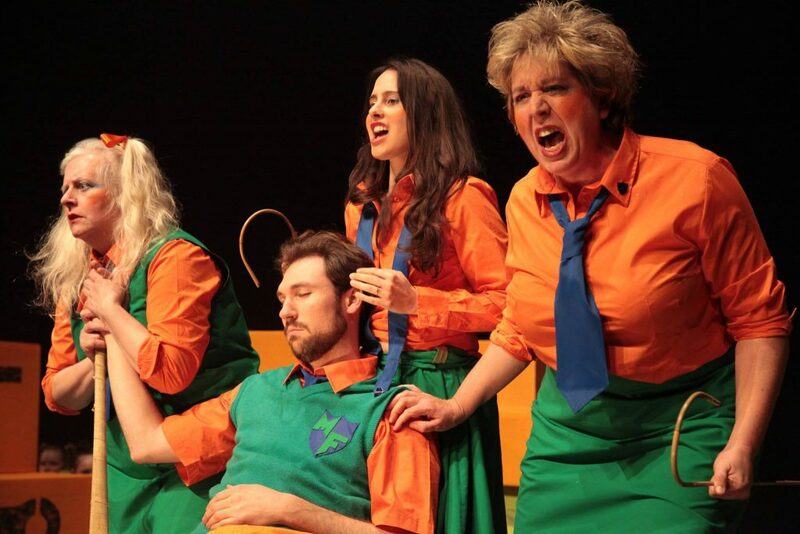 Former Music Scholarship student and singer, Marina Ivanova, recently appeared in the role of Papagena with Opera South East. 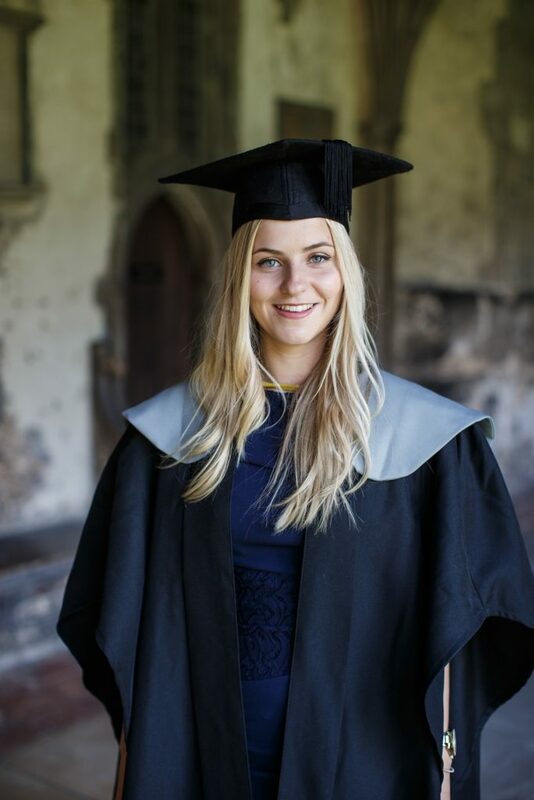 As a Music Scholar, she sang in Chorus, Chamber Choir, and numerous Scholar recitals, including a masterclass with Dame Anne Evans; she was also a Music Prize-Winner in 2014. Here, she reflects on music-making and her recent role. 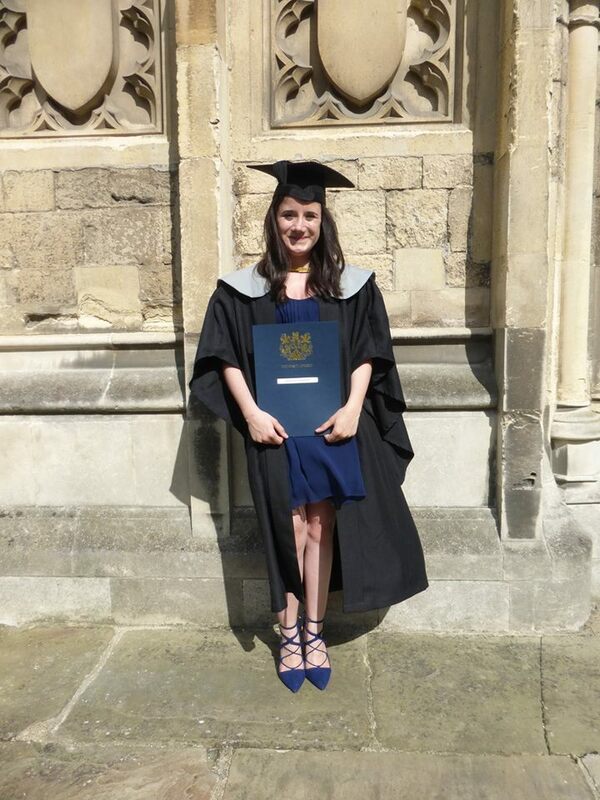 I read European Economics and French at Kent, and graduated in 2014. 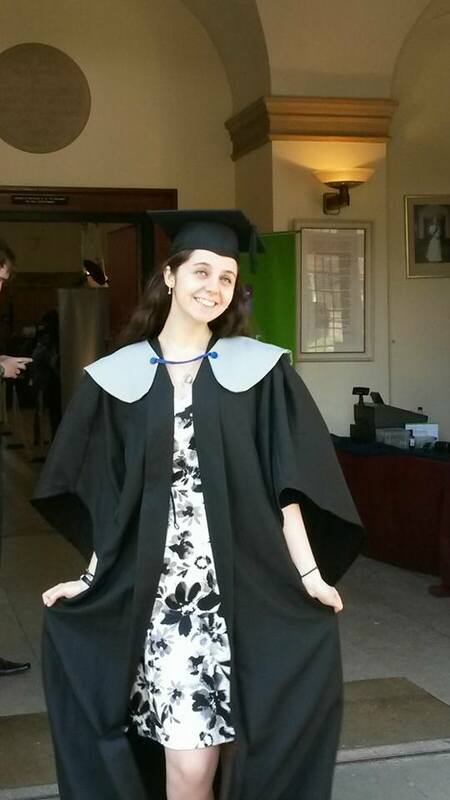 I had an amazing time as a Music Scholar at Kent between 2010 and 2014. 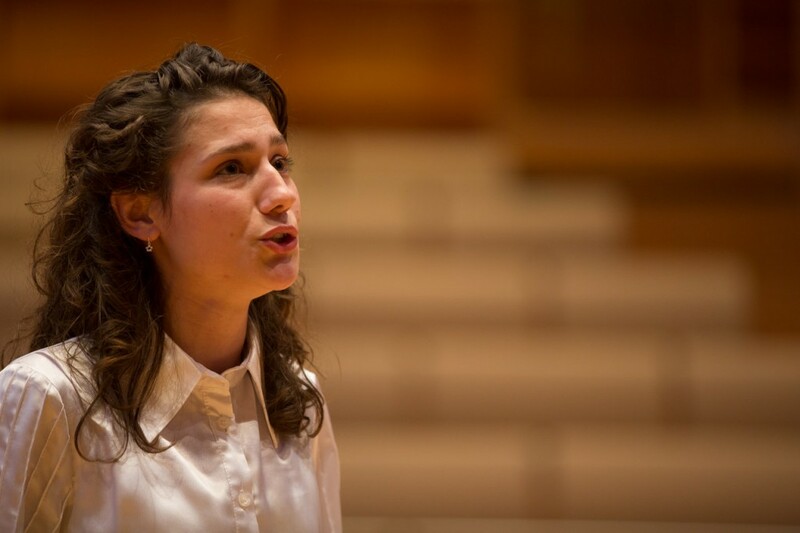 One of my most memorable and exciting experiences was the Scenes from Mozart concert during Summer Music Week, and singing Vivaldi and Mozart in lunchtime recitals by University Music Scholars. Since graduating, I have been actively seeking for new opportunities as a shorus member or a principal in opera productions. In 2016 I made my operatic debut at Brent Opera, in London, as the Singer in Puccini’s Manon Lescaut. 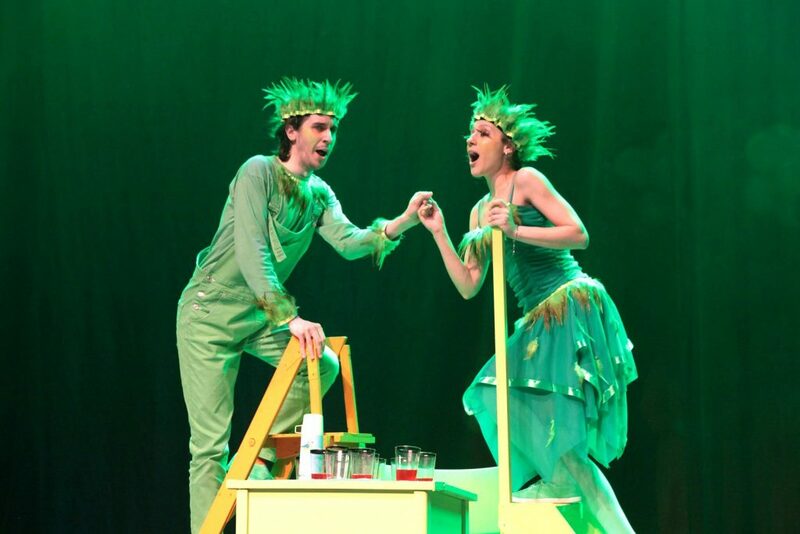 Since February 2017, I have been working with Opera South East in a production of The Magic Flute and I was delighted to appear as Papagena in the two performances last weekend! These were in the White Rock Theatre, in Hastings. My intention is to develop further my operatic training and to continue working on new and exciting opera productions. Rehearsal photos courtesy of Mark Duncan. 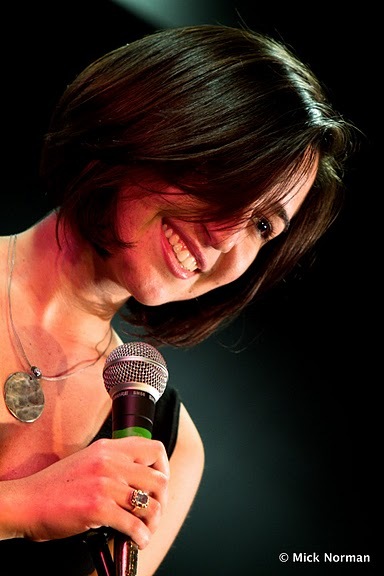 Kent alumna and former Music Scholar, Lena Younes, has recently launched a crowdfunding campaign to create a community yoga centre in Brighton, where she lives and teaches. 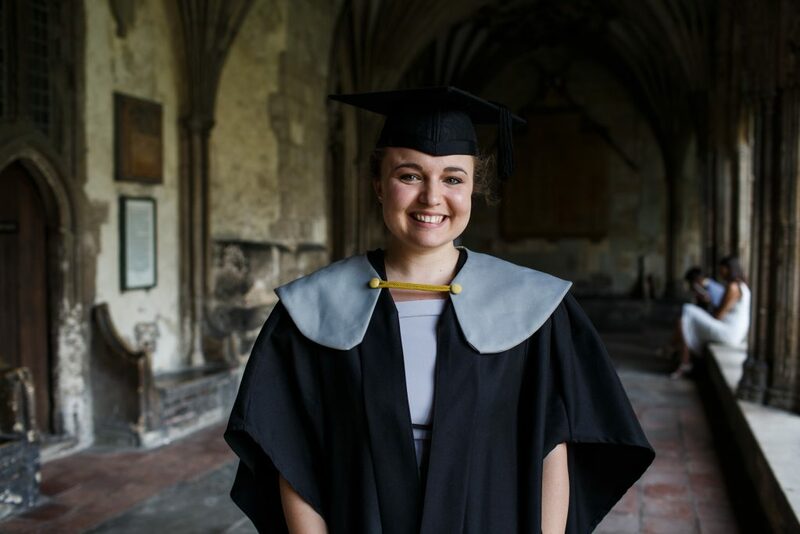 Whilst studying Drama and History at Kent, Lena was a Music Scholarship student, singing with the University Chamber Choir and as a soloist in lunchtime concerts given by the Music Scholars, as well as making regular appearances in the Jazz @ 5 gigs. 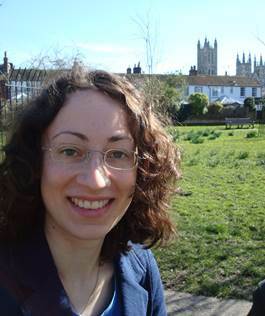 Following her degree, she moved to Dublin, Ireland, to pursue a PhD in Early Modern History, for which she received a postgraduate scholarship from the Irish Research Council. She kept up her musical aspirations by singing and playing violin in a blues band and teaching herself guitar. 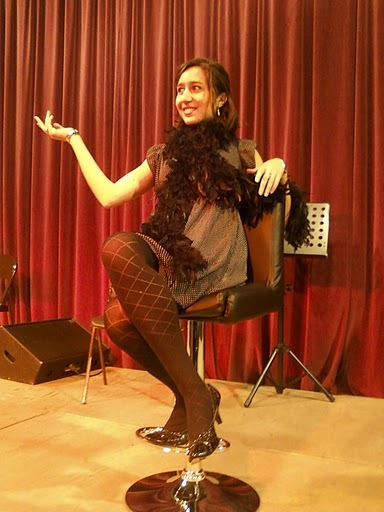 Singing in Jazz @ 5 in 2010. The Rocket is deeply rooted in the Californian music scene as well as traditional Ashtanga Yoga – something that very much appealed to a former music scholar! The Rocket System – and yoga in general – completely transformed Lena’s life. Coming from a background of long-term illness, she saw her body and life transform… So she made the decision to let go of her doctorate studies and focus on her personal practice and teaching skills. 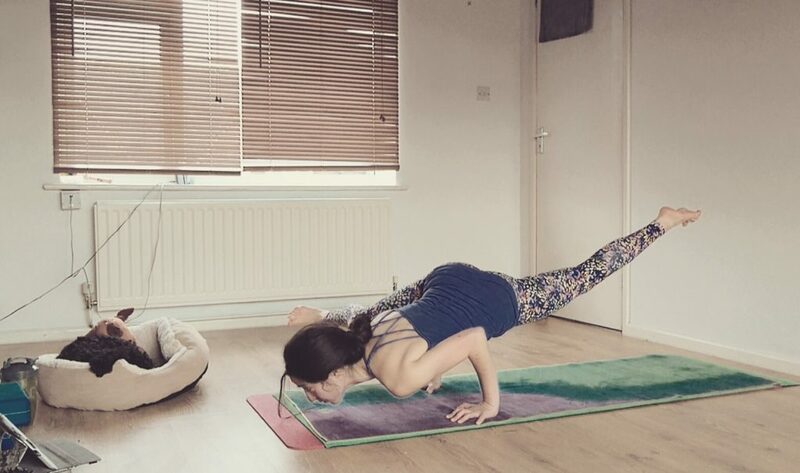 After moving to Brighton in February 2016, Lena and Richy started their yoga business, LoveLightYoga, providing unique yoga instruction in the vibrant and creative seaside city. 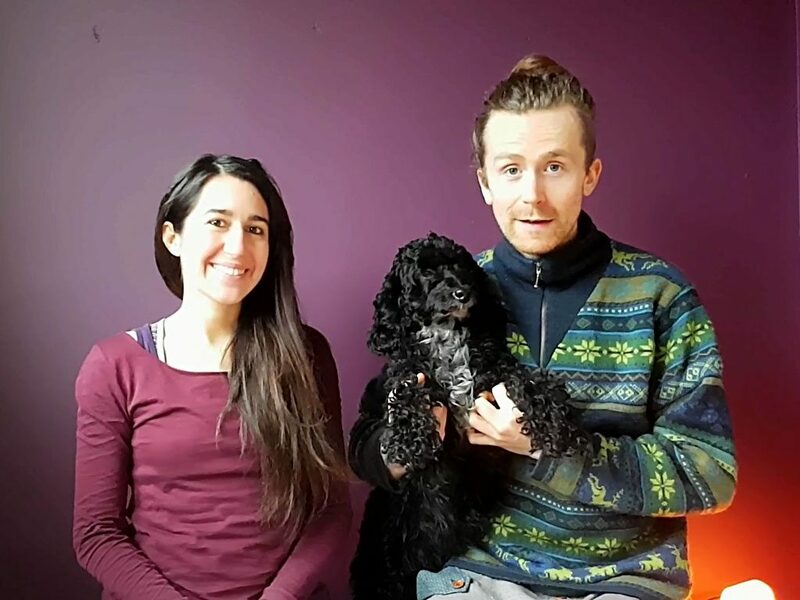 They are now ready to expand and are crowdfunding to open their own yoga studio in an innovative space – sharing with people from Brighton and beyond the yoga experience they received thsemelves in Italy and Ireland. 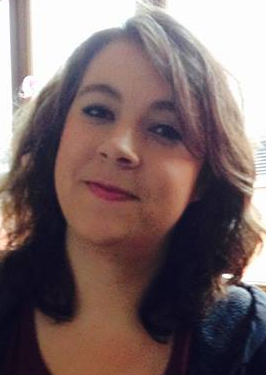 Find out more about Lena’s campaign here; we wish her every success! 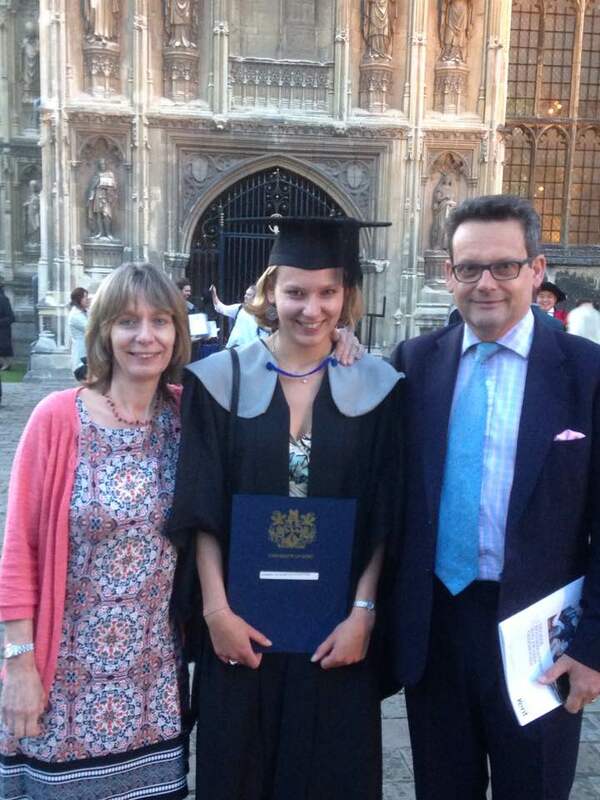 It’s a busy week, with parents, family and friends thronging to Canterbury Cathedral for graduation ceremonies. 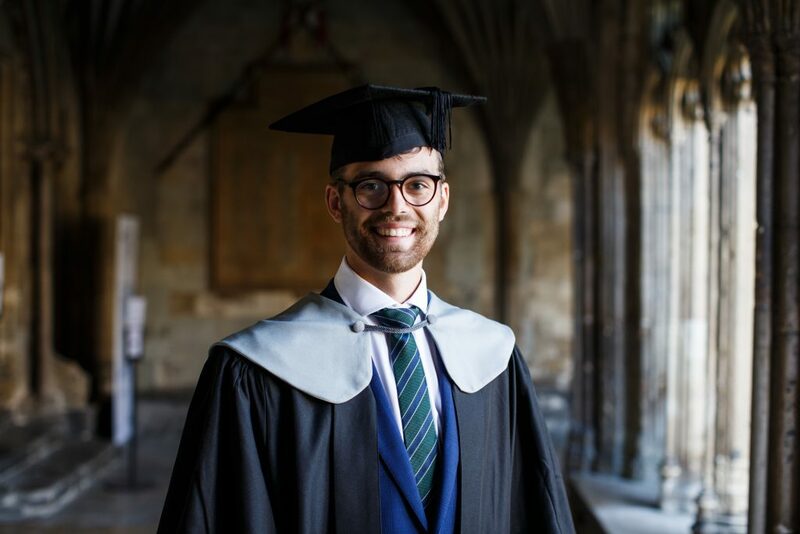 Many musicians are graduating throughout the week, including some here; congratulations to everyone celebrating their success over the past five days, as they pass through the doors of the Cathedral to become part of the world-wide University of Kent Alumni community. Thanks for all your commitment and contribution to music-making here at Kent during your time; and remember: whatever you do, make music! 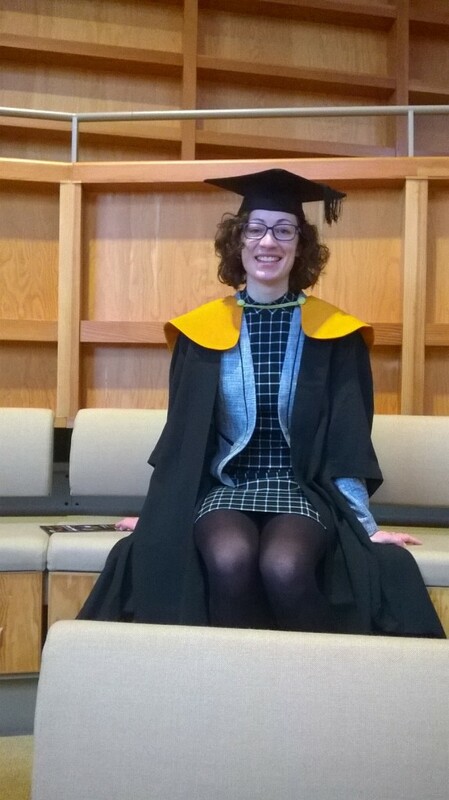 Congratulations to Svenja Glass, who graduates today having completed her MA in Comparative Literature with the School of European and Cultural Languages. 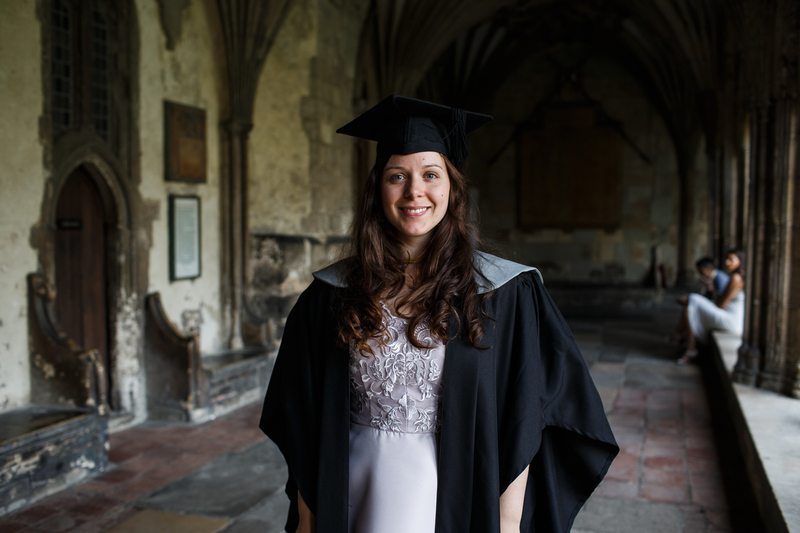 Congratulations to everyone graduating today, and to Svenja – thanks for all your commitment to Chorus – Vielen Glückwunsch! International Impact, Was It Good For You ? 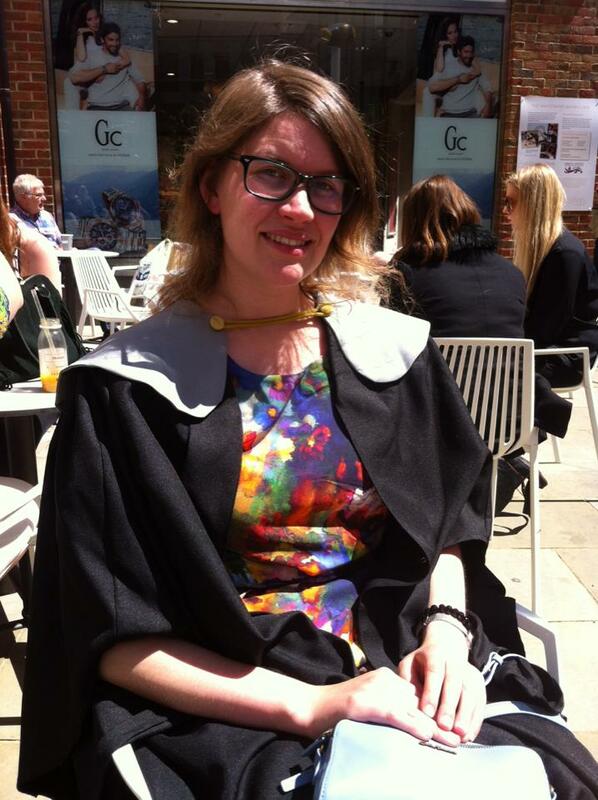 About to finish her MA in Comparative Literature, her second postgraduate degree, having finished a Master of Education (English and Maths) in Berlin last year, Svenja Glass looks back on her involvement in music at Kent. I was here first in 2012/13 as an Erasmus student from Free University Berlin (just like Max Mergenbaum, funnily enough, only I came via the English Department!). At that time, I studied English and Maths in Berlin, but on coming to Kent I just attended seminars in English Literature (and German Translation and Danish …). Then I went back to Berlin to finish my M.Ed. 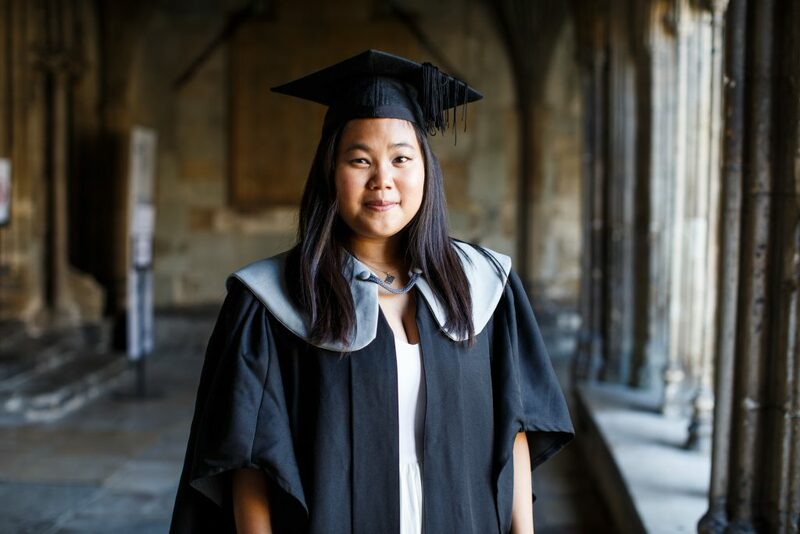 and decided to come back to Canterbury because I had enjoyed my year at the University of Kent so much – especially the music-making. On the occasion of the valedictory concert in June we were given tags to write down our best memory related to music at the University of Kent – 50th anniversary of the university, 50 memories. It goes without saying that it is impossible to choose just one single memory, but it certainly offered a welcome opportunity to re-live what made 2014/15 so special for me. I sang in the University Chorus, and I enjoyed every single rehearsal (did you know that Popocatépetl is a volcano in Mexico? Say the name eight times as fast as you can!). To quote Sue: “an hour of singing will do you a world of good,” and this is absolutely true, particularly in the face of several essay deadlines approaching at once (Dies Irae!). Performing Verdi’s Requiem in the Cathedral with around 180 other singers and the University Symphony Orchestra was, of course, epic! Moreover, I took the chance to go to a variety of concerts (I think I never went to so many concerts), especially exploring some more modern music, which I would not normally have dared to attend. Walton’s Façade, performed by the CantiaQuorum ensemble in November and featuring some Canterbury-VIPs as readers is just one fantastic example. Naturally, the best concerts were the ones in which my friends performed. The high standard of music-making at the university is simply amazing. And talking about friends, I met a lot of wonderful people from all possible subject areas – economics, biomedical science, you name it, and we had a perfectly marvellous time playing the piano together , for instance, or singing Christmas carols on campus and in town. After all, the best thing about Music at the University of Kent is spending your free (or not-quite-so-free-but-rather-busy) time with a lovely bunch of people who share a great passion for music. 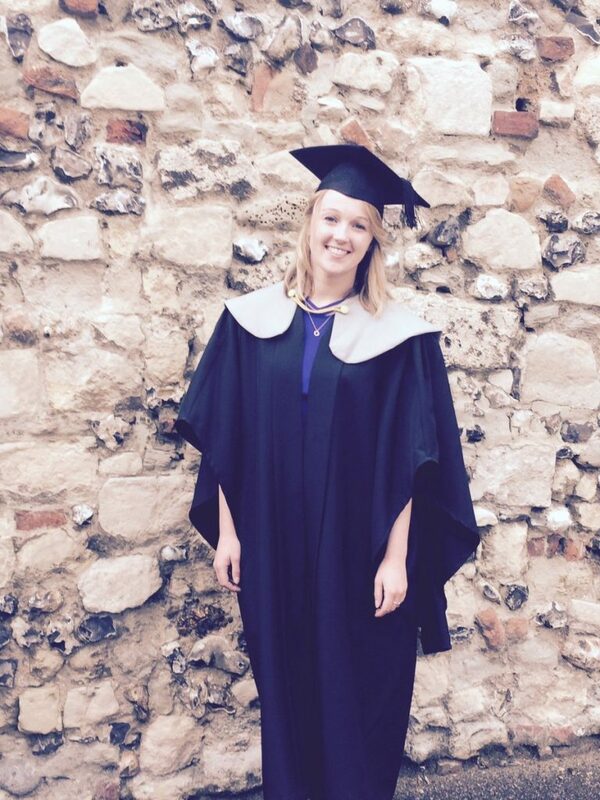 Continuing the series in which musical alumni look back on their musical life at Kent: this week, woodwind-player and singer, Anna Shinkfield. When were you at Kent? What subject did you study? What occupation are you now engaged in? If music is not your profession, do you participate in any musical activities now ? I am not currently involved in anything musical at the moment but I am hoping to find something musical to get involved in soon! How were you involved in music whilst at Kent ? I sang in the Chorus, played Flute in Concert Band and Tenor Sax in Big Band all three years I was at Kent as well as receiving a Music Lesson Scholarship. 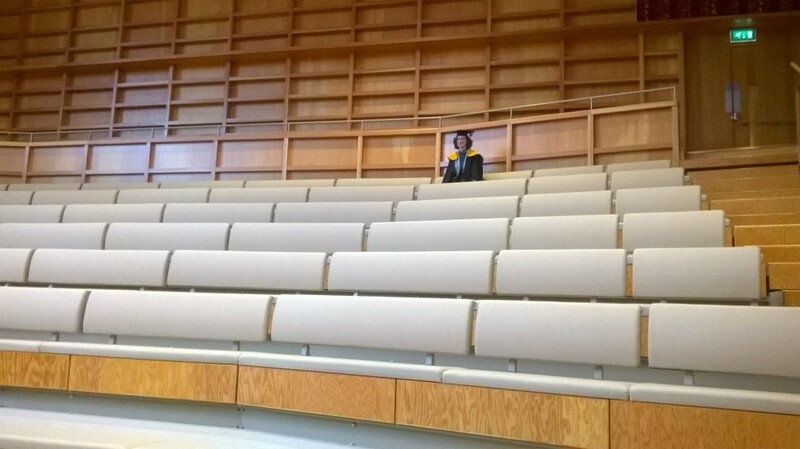 I was also a member of the Music Society Committee in my second and final year. What did you gain from your University music experience, and has this helped you in any way since leaving Kent? 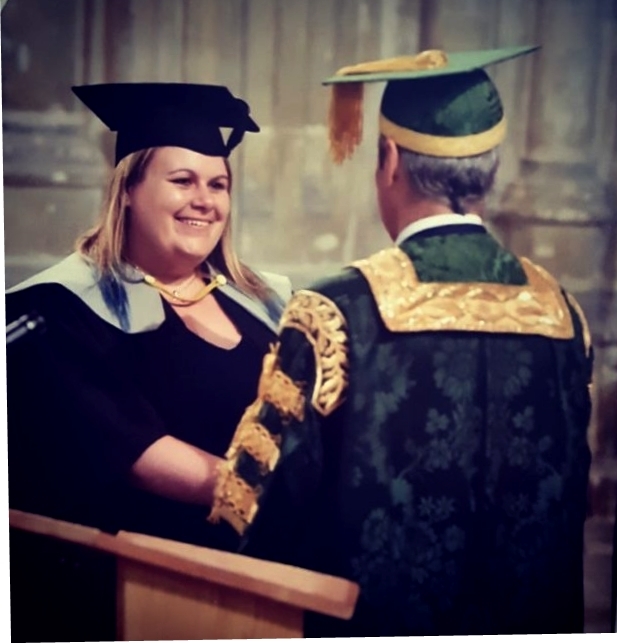 I think my experiences with the Music Society definitely helped me decide on what I wanted to do career-wise and allowed me to get enough experience to do a Masters in London after my degree. Everyone says get involved with something at University, join as many clubs as you can – it looks good on your CV. I’m sure I rolled my eyes and brushed these sorts of comments off before and during University. but I can definitely say that it is true as much as you might be bored of hearing it! I’m pretty sure my musical activities have been discussed a lot more than my degree ever has in interviews. What was your most memorable musical experience at Kent? I think that would have to be every ArtsFest really (what’s now Summer Music Week). Although spending the morning in Eliot Hall rehearsing and blowing up balloons then rushing between concerts in the afternoon meant I didn’t get to see much of what else was going on I think it was those sorts of days that really made me think that’s what I wanted to do in the future. What would you say to current musical students at the University ? 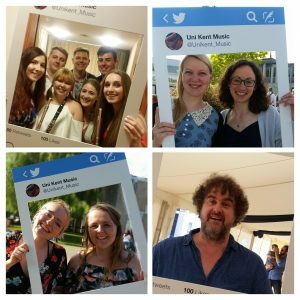 Make the most of Music at Kent! I don’t remember the hours spent in the library or Monday mornings in lectures half as well as I remember taking part in rehearsals and concerts. It can be easy to skip rehearsals especially with essay deadlines and exams but that two hours of music will always be more productive than sitting staring at a screen and will probably give you the break from revision that you need. The rehearsals throughout the week are an excellent excuse to stop staring at computer screens or forcing myself to read books I wasn’t particularly interested in and focus on something a bit different! Looking back I don’t really remember the hours spent in the library or in lectures but I do remember the rehearsals, concerts and socials. 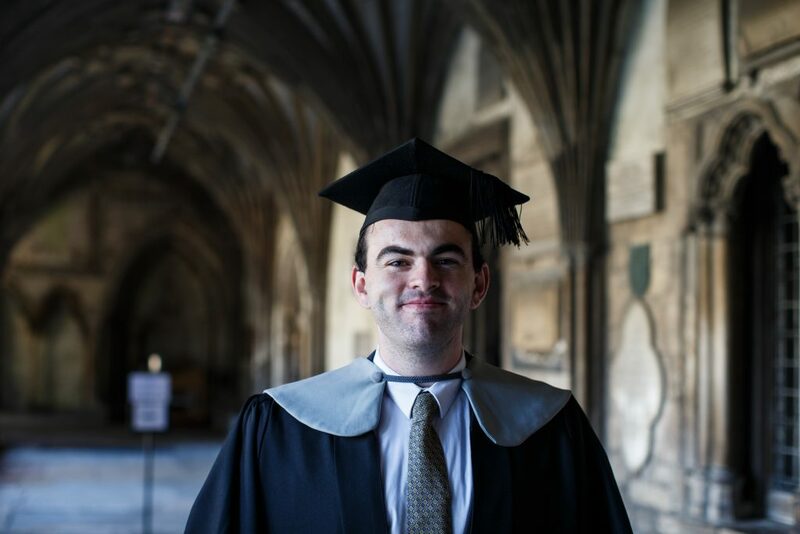 Continuing the series profiling musical alumni of the University of Kent. This week, Siobhan Harper. I was at Kent from September 2006 until July 2009. English Literature and Film Studies. I’m doing a Masters degree in English at the University of Exeter. If music is not your profession, do you participate in any musical experiences now? I’m not sure I’d cope if I wasn’t doing something musical! After I graduated I was in the City of Birmingham Symphony Chorus for a year, which was fantastic; we did loads of amazing pieces with some renowned conductors, and went on tour to Kuala Lumpur! Currently I’m in the Exeter University Singers, which is basically like a larger chamber choir. In fact, we’ve done a few of the same pieces that we did at Kent! 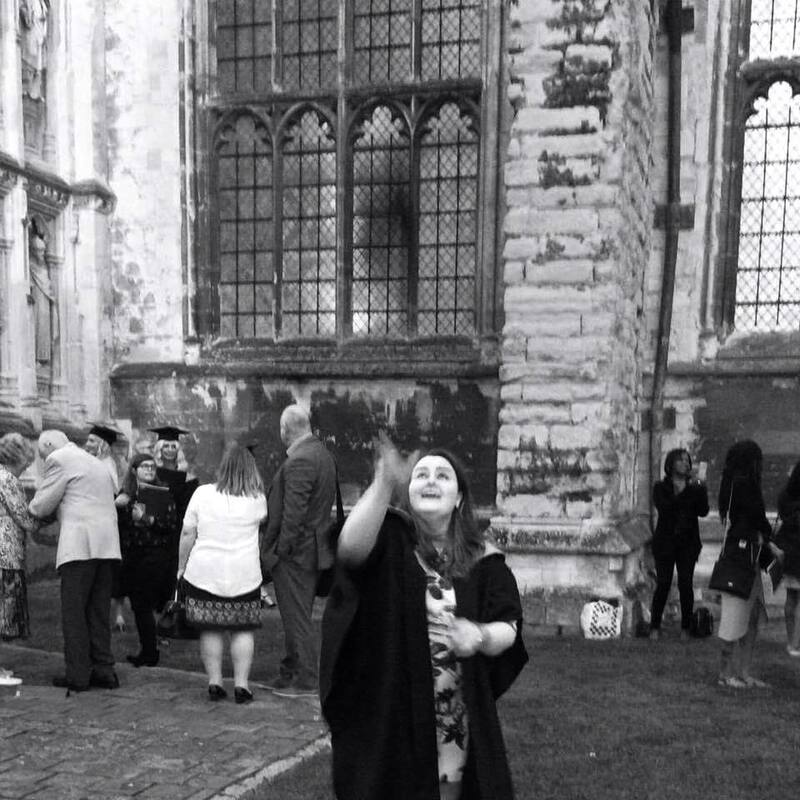 How were you involved in music whilst at Kent? I was in the Chamber Choir and Chorus for the whole of my three years, in the society committee for the last two, and I had a singing scholarship and a music lesson scholarship. I also performed at Jazz @ 5, and at ArtsFest as part of Three Divas and a Piano. I think I had more contact hours with the music department than with my course! Definitely most importantly, I made some of my best friends through the music society, friends that I still can’t seem to get rid of! Every crypt concert we’re reunited as a big group and it’s always one of the best nights of the year. Knowing that I can handle doing a university course and being an active part of a society is fantastic. Both required so much organisation and time management, and it’s great to know that I am capable of handling those two disparate things. 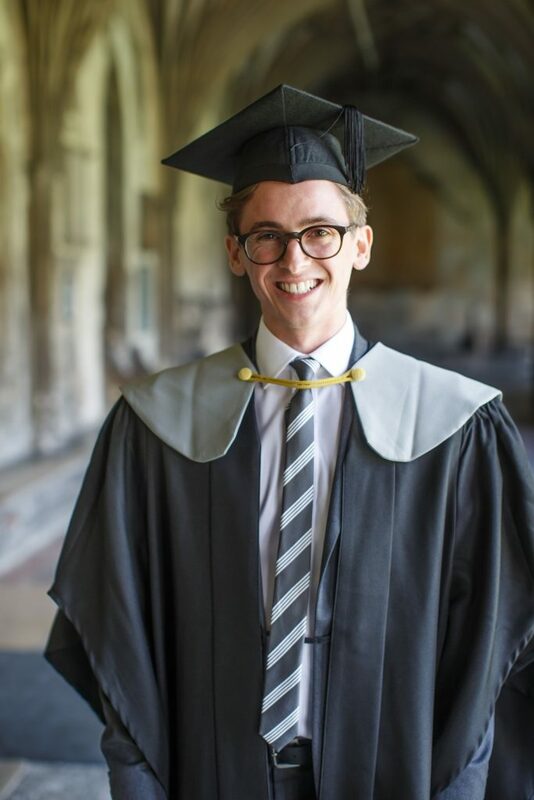 The knowledge that I wanted to be doing all things musical alongside all my work was also fantastic; music has always been such a big part of my life and I loved being able to continue with it at university. And, of course, my balloon-blowing skills have come along in leaps and bounds, thanks to ArtsFest. 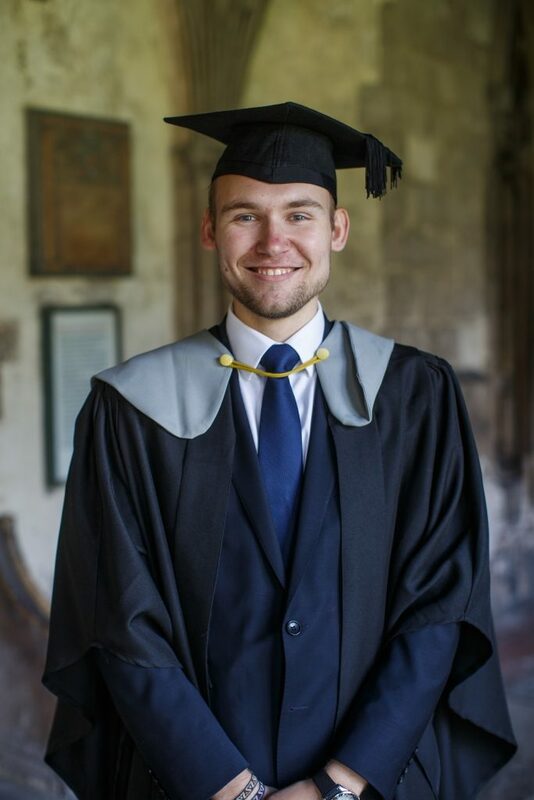 One particularly wonderful memory is of Jacob Barnes, Chamber Choir’s accompanist for my first two years of university. In our first crypt concert in 2007, Jacob performed, and it was the highlight of the concert; he was an extraordinary musician and we were all blown away by his performance. I wasn’t lucky enough to know him as well as others did, but I have the deepest sympathy for his friends and family. Rest in peace, Jacob. Every Chamber Choir crypt concert, and every post-concert trip to the Buttermarket. Paris Tour 2008. African drums in the cathedral crypt. All of Sue’s quotes that we noted down gleefully in every Chorus rehearsal. Sop Central. Tippett Spirituals. Every committee handover meal. Chili con Carne. Sneaking into the VIP tent at ArtsFest. Every chamber choir rehearsal in the OTE. Eric Whitacre’s Sleep. When my party popper didn’t go off during the ‘Champagne Polka’. Here Come The Girls. Having the chorus sing me ‘Happy Birthday’ on my 21st. Howard Skempton, and the signed photographs. Boozy Ss. Staying up to watch the sunrise after ArtsFest 2008.